Mmmm pizza! 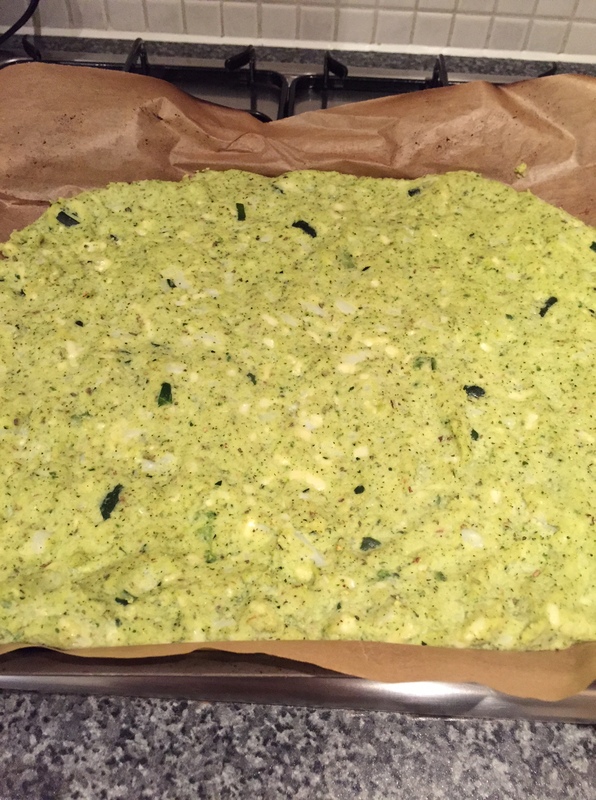 It’s taken a while and a few failed experiments but I’ve finally mastered the gluten free pizza base and here it is… I had it in my head that I wanted to make the base with courgette (zucchini) and cauliflower, so if your kids (or husbands!) don’t like veggies you can always hide it in this base, although I do think it’s good for kids to see their veggies so that they learn to love them and not have to have them hidden when they grow up 🙂 This isn’t a vegan recipe, but it is suitable for vegetarians. 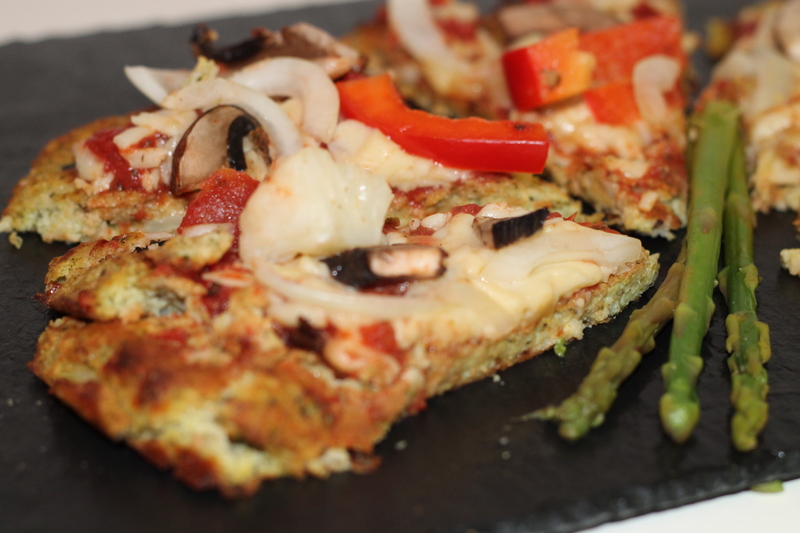 Raine will add her gluten and dairy-free pizza shortly! Preheat the oven to 180. Chop up the courgette and cauliflower and steam together for 7 minutes. Once ready, line a colander with a thin dish cloth and empty the vegetables into this. Then you need to start wringing out all the moisture. Keep wringing for as long as possible until as much moisture as possible has left the vegetables and they look almost dry. 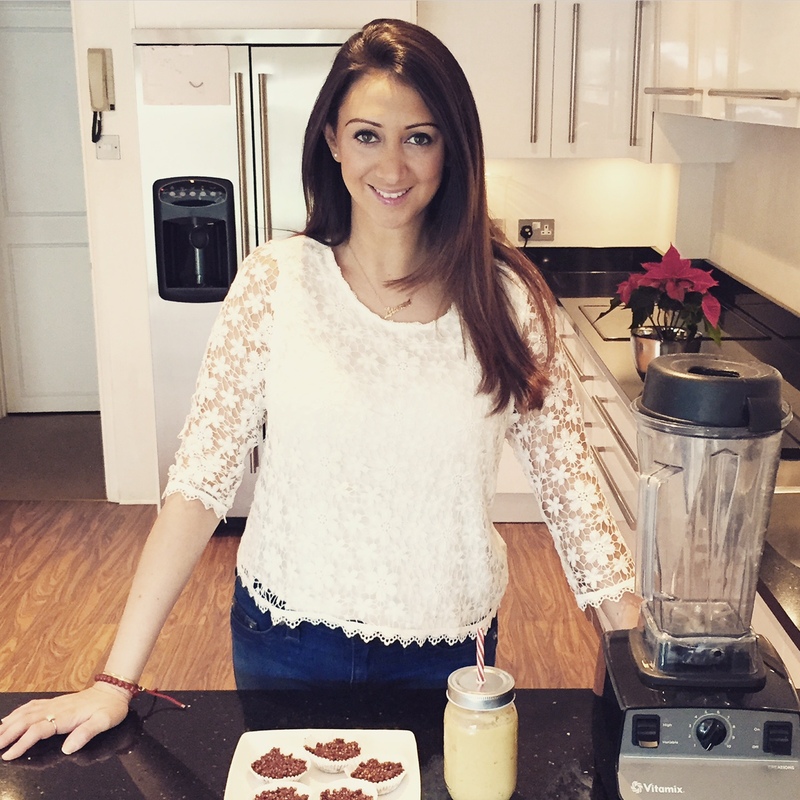 Once you’re confident this is done, put in a food processor and blitz quickly – it doesn’t need to be completely blended. Once blended, add to a bowl with the eggs, ground almonds, both cheeses, salt, pepper and herbs and mix well. Put in oven and leave for around 30-40 minutes or until you can see it browning. While it’s in the oven, make the sauce by adding all ingredients to a saucepan and simmering on low. Cut the vegetables at this time too. I used red pepper, onion, mushroom and some leftover cauliflower. Once the pizza starts browning slightly, add the sauce and vegetables and continue baking for another 20 minutes or until vegetables are soft. Take out the oven, slice, serve and wait for the compliments!